Notebook Lite for iPhone 4 is a simple and practical notebook tool. 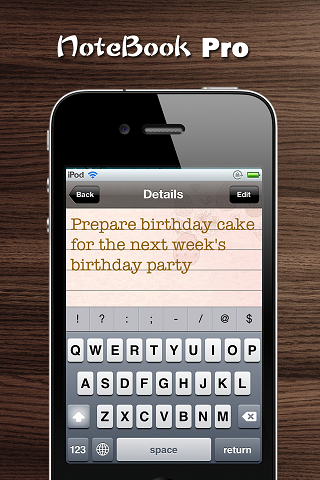 With this app, you can write down everything you like, also you can view what you have written casually. We develop one dustbin in this app for you with our utmost care. So you can extract and recover what you have deleted before from the dustbin. What’s more,various backgrounds and text colors are set in this app for you to choose.